Starting a blog begins with getting your website on the Internet – if you need help with this step, see my easy 3 Step Guide to Starting a Blog HERE! When it comes down to it, content is king in the blogosphere. If you have creative ideas and original content, everything else will fall into place. Without this key component, however, you’ll find yourself swimming upstream. 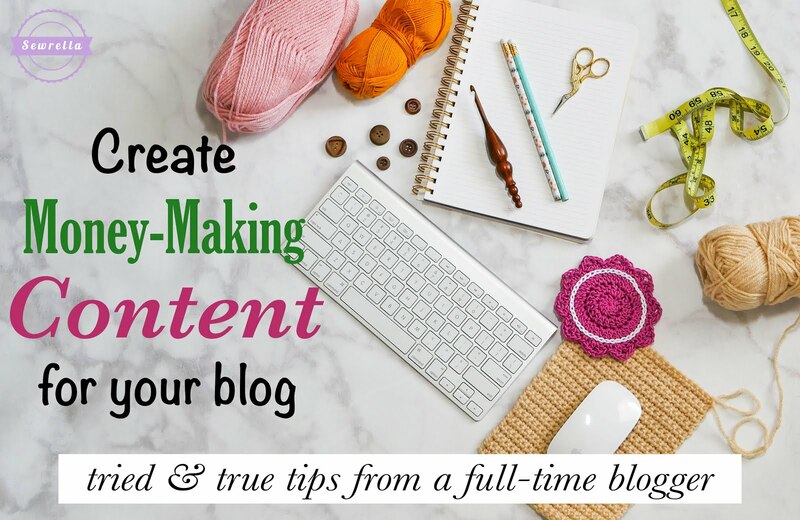 Here are my tips to creating content your readers will love and ~importantly~ will earn you money! One of my favorite things to do when brainstorming a new project is turn to a place with boundless inspiration: Pinterest. I do have a special strategy for approaching Pinterest for blogging inspiration – Pin with a Purpose. Logging onto Pinterest without specific goals in mind is sort of like falling down a rabbit hole. You eventually come back to reality and it’s been 6 hours since you started pinning. Don’t let this happen to you. Once I find those 5 pins, I stop and log my findings. What were the themes of those pins? What was the photography like? What do I think made them so popular? How can I incorporate these findings into what I create? When you assess what the great Pinners in your niche are doing, it helps you become a better blogger. 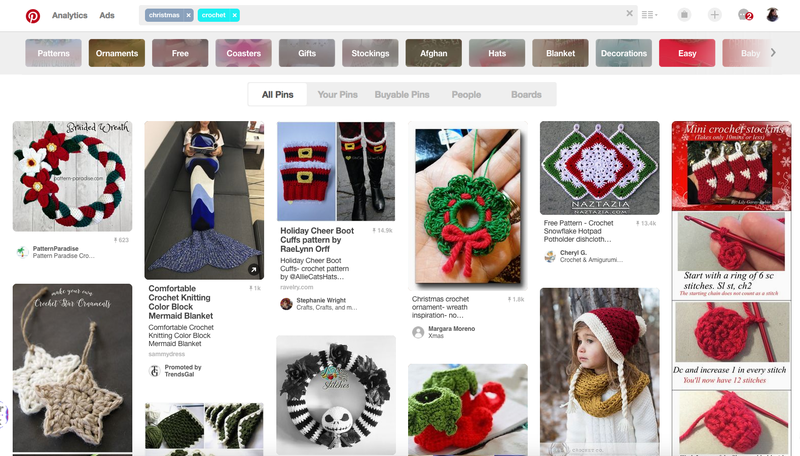 I say that because – in our DIY/crafting niche, Pinterest is everything. It’s the source for over 90% of my traffic. So I always look at the best pins similar to something I’d like to create, and use that as fuel to my fire! You probably already have a blank notebook lying around your house. Use it for blogging! In mine I keep running to do lists, brainstorming pages, calendars with due dates, pattern rough drafts, login information, and other random thoughts. Once you start your blog, you’ll have an idea for a post while out grocery shopping, in the shower, or at dinner with the family. 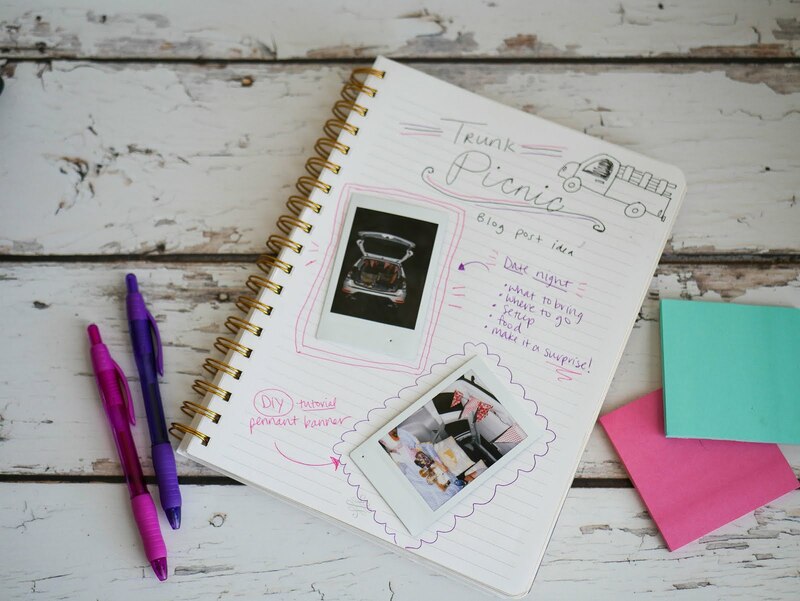 Take your blogging notebook with you everywhere so that all your blogging genius stays in one place! This will help you create content people will love, because you’ll never lose track of an idea. When you see a texture, a color combination, or other inspiration out and about, you can write it down. I take my Polaroid camera with me everywhere I go – you never know when you’ll see something that inspires a post. As I’m an extremely visual person, I take photos of my inspiration while out and about – a sunset, an antique store find, or a cute puppy. Anything that sparks an idea, I snap a photo. I like to use a polaroid rather than my smartphone because I like to add these little snapshots to that blogging notebook we just talked about. I can snap the photo, stick it in my book, and jot down the corresponding idea. And polaroid film is expensive, but guess what? It’s a business expense so I see it as worthwhile! But feel free to use a smartphone or sketch what you see in your notebook if you’d rather. It’s all a matter of preference. They are trends for a reason! – because they are liked by large groups of people. And while trends may not last, they can be great for driving readers to your blog while the trend lasts. And more readers = more money! While I am one for classic projects & styles that last, following a trend here and there really helps my blog stay current. look at your favorite stores’ promotions – what colors, styles, and textures do they feature? For instance – the bohemian, shabby chic look is hugely popular right now, like the style at the store Anthropologie. 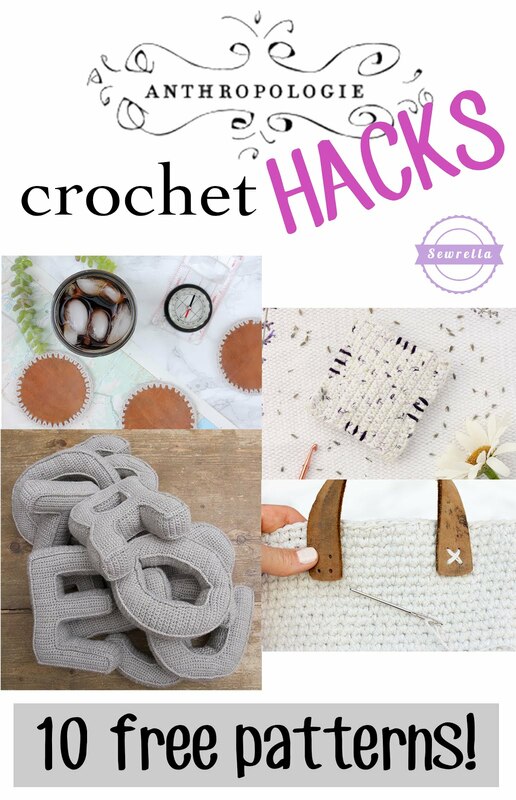 So I recently put together a roundup of Anthropologie Inspired Crochet Hacks! This post both speaks to the trend that lots of people love, while speaking directly to my readership of crocheters. 5. Whatever you do – HAVE FUN! Some of my most popular posts, like the Parker Crochet Newborn Set, were made with a whole lot more love than yarn. And I think that shows in the post. Not only did I create something that a lot of people seemed to like (thanks, you guys!) but I put a lot of myself into the project. I made a baby hat for the child in my tummy (at the time) and created it to look just how I wanted it to look. 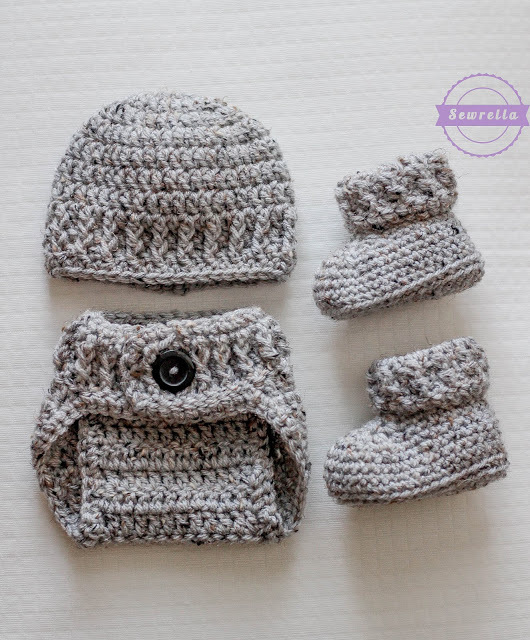 And although there are tons of baby hats and baby booties out there, for some reason the Parker set has made me a great chunk of change, and remains a top post on my blog. While analyzing what other successful bloggers are doing, and following trends can help to keep your blog modern, sometimes it’s the projects that YOU CARE ABOUT MOST that wind up being a big draw. Don’t underestimate your intuition and have fun with all the content you create! Don’t forget to pin this tutorial to your Pinterest boards! What are your tips for creating money making content? I have to say You are one of my mentors in our crocheting world. Like you, I am self taught crocheter. My very first beanie was from your youtube channel – slouchy puff stitch beanie. Thank you! I hope you do, it is the most rewarding work! Wow, i have just gone through your DIY on blog creation and i must say i am blown away! You are just such an inspiration and so creative it is magical to say the least. THANK YOU for such wonderful, inspiring and useful information. Aww thanks Kristyn! I publish all of my patterns as free ones for a few reasons. 1. I like for everything to be in one place. If every pattern is available on my website, the reader may stick around browsing all of my content. The more times someone clicks around, the more pageviews I get = more dollars! I’m not confident I would have this kind of return traffic to my blog if some of the patterns were paid. 2. This being the case, I stand to make more money through ads on my blog with happy readers that get their patterns for free, rather than make $5 for each pattern but not nearly as many people want to pay for a pattern. 3. Everything being on my blog is so much easier to manage. Since my traffic has really taken off a few months ago, I’ve been a busy bee! I really don’t have time to monitor sales on Etsy, Ravelry, Patternfish, or other places. For me, blogging is easier. 4. I’m new at this. I’ve only been crocheting for a few years and I’m still learning so much as I go (especially about design)! Folks tend to be much more forgiving about a typo or stitch count error in a free pattern, rather than one they’ve paid for. Again, I want happy readers at the end of the day. Thank you so much for your blog posts about starting a crochet blog! I’ve just recently started my blog and am becoming more inspired to really make this something worthwhile. Your posts have helped so much! I look forward to seeing more of your patterns. P.S. Chocolate chip cookies and Gilmore Girls are some of my favorites too! I’m excited to watch the new episodes on Netflix when I get time.